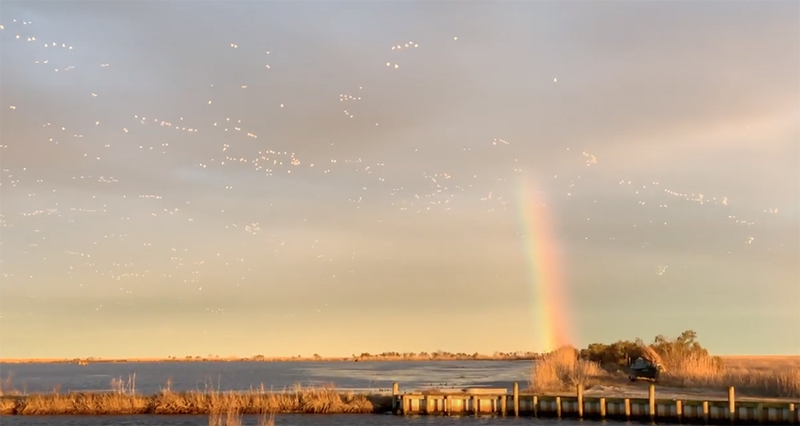 Last Saturday after a rainstorm, Clark witnessed a swan tornado in Swan Quarter National Wildlife Refuge, which is a short drive southwest of the Outer Banks. In this amazing video filmed at dusk, thousands of migrating Tundra swans are coming in for the evening. To visit Swan Quarter National Wildlife Refuge in nearby Hyde County, head west from Nags Head to Manteo and turn left toward the small town of Engelhard. It’s in a remote area so pack plenty of snacks. If you love birdwatching, the Outer Banks is truly a birdwatching paradise!